Nordhessische … Make China Great Again! It is so typical for these days: We only find in the internet what we would like to find just to stay in our filter bubble. That is why screenshots of the presidential shirts or ties or the fashion of his daughter are shared for enduring “fundom”, but hardly anyone is asking himself or the all mighty Wikipedia, what China in fact is. Nordhessische.de, one of the most serious and credible german “Lügenpresse” fake-news websites, clicked Wikipedia for you – and found at least four places named China in the USA. China is more than a state – several places are named like this, even in the USA. Two of them, China in Maine and the one in Texas are actual towns. What if the Trump stuff has been produced here, Made in China, USA? We should better investigate things before blindly pointing on the “POTUS” and his family, shouldn't we? 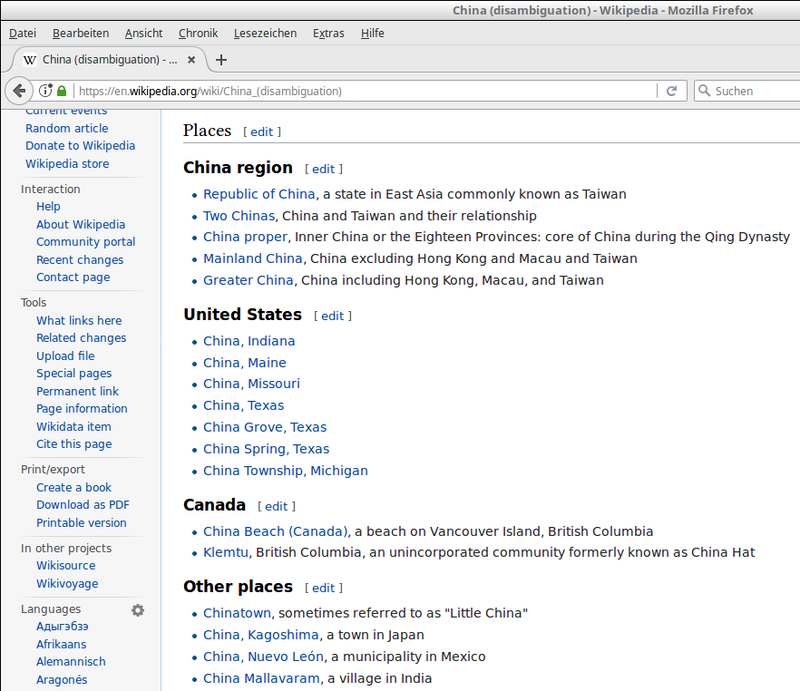 As you see on the screenshot, there are also places named China in Japan and – even worse – in Mexico! Let us cross the fingers that Ivanka Trumps fashion is not produced here. We totally understand America First , but can we just say #everysecondcounts?